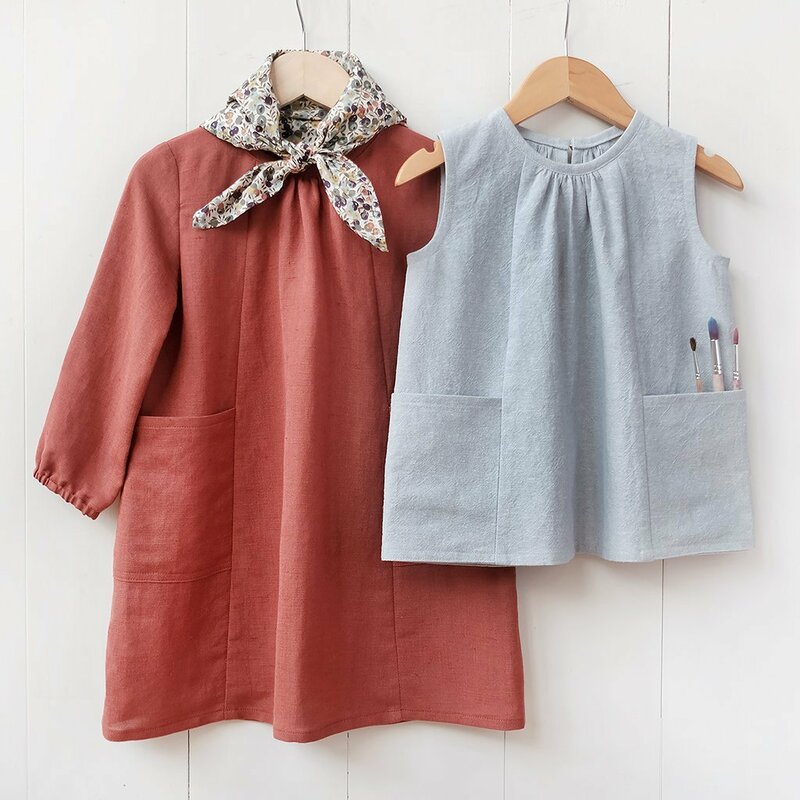 This cleverly constructed smock will inspire a little one’s creativity with its oversized pockets for storing supplies and treasures. 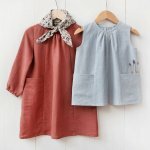 Make a top or dress, and choose between sleeveless or long sleeve. It’s a perfect project for learning more advanced techniques, such as binding a neckline and setting a sleeve. Includes 6 sizes from 6-12 months to 5-6 years.